The story of a Muslim family during partition. Very poignant and insightful. Balraj Sahni is terrific. 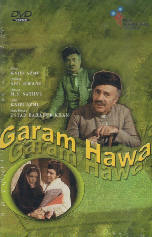 For more details, see Garm Hava on The Internet Movie Database.